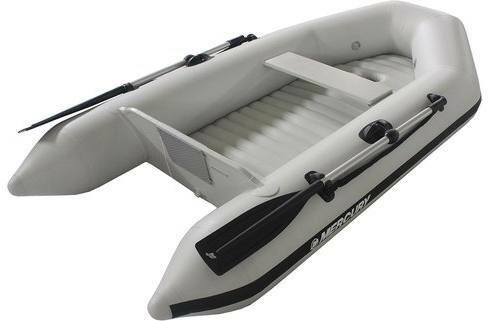 Start Strong: Compact and economical for the first-time inflatable boat buyer. Boat with a confidence from your first voyage on. Safe from Ship to Shore: Two additional inflatable compartments (floor and keel) accompany the internal air chambers. Increased safety. Maximized functionality. A Perfect Fit: Functional. Cost-effective. And backed by a five-year warranty. So whether it's for the family on vacation or the fisherman with space constraints, you're covered.